EXCITING NEWS: I just signed on as a member of the worker-owned Solidarity Research Center. I can’t tell you how thrilled I am to be working with this exciting group of people working at the forefront of solidarity economics. Solidarity Research Center has already been providing very valuable advice about how to scale Payday as a co-op and I am looking forward to their support. Check out the awesome work the Solidarity Research Center is doing here. 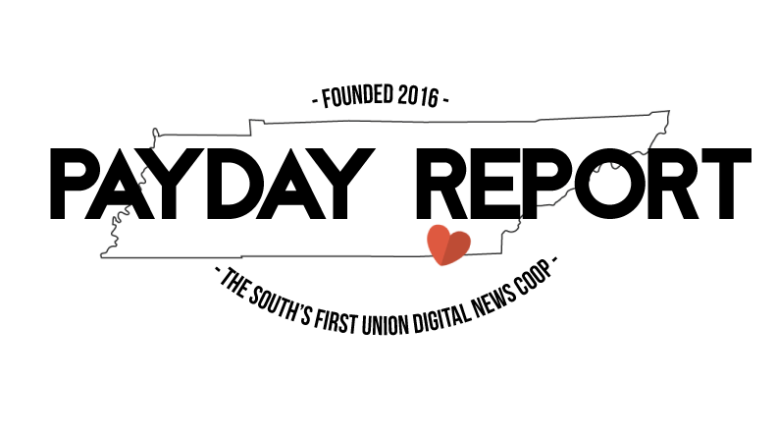 MORE EXCITING NEWS: we just got a small grant from the Democracy Collaborative to cover municipal broadband and the works council system in eastern Tennessee. As a result of the massive outpouring of fundraising support, several foundations have asked me to present to them and I am meeting with unions to talk about underwriting as well. People in the non-profit world are saying that if I show that I can raise enough money from donors that folks may invest if its sustainable. So please, pledge to give monthly if you can so that we can show these foundations that Payday is not just a worker co-op, but a consumer co-op. Those who give to Payday will be invited to monthly meetings were we discuss what is going on with Payday and what things we should be covering. Thanks for all the solidarity, now go enjoy your weekends. Be the first to comment on "We’re Teaming Up With Solidarity Research Center"